Below is a comprehensive list of hotels in Paine's Corner. Use the sort links to refine your search or to find featured accommodation in Paine's Corner. Many of our hotels in Paine's Corner feature no booking fees and best price guarantee when booked through the Pictures of England website. To list your hotel in Paine's Corner, click here. 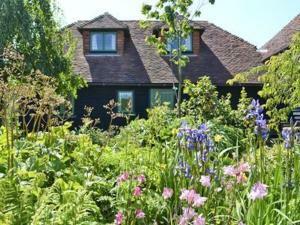 The Old Library is a holiday home is set in Burwash and is 38 km from Brighton & Hove. The property is 26 km from Eastbourne and features views of the..
Little Park Hill Farm is a holiday home located in Burwash, 38 km from Brighton & Hove. The unit is 24 km from Eastbourne. The unit equipped with a k..
Windmill Cottage is a holiday home with a barbecue, set in Heathfield in the East Sussex Region. It provides free private parking. The kitchen comes ..
Orchard Cottage is a holiday home set in Heathfield, 35 km from Brighton & Hove. The unit is 22 km from Eastbourne. There is a dining area and a kitc.. Situated in Burwash in the East Sussex Region, this holiday home is 42 km from Brighton & Hove. The property is 26 km from Eastbourne and free private.. Decorated with antiques, Pelham Hall Bed & Breakfast also features murals by local artisans. It is located in Burwash, which was once the former home ..
Set in Burwash, this holiday home is located 42 km from Brighton & Hove. 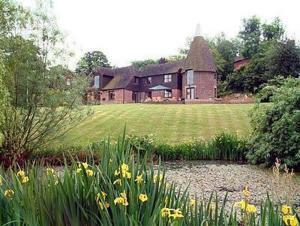 The property features views of the city and is 26 km from Eastbourne. The un.. 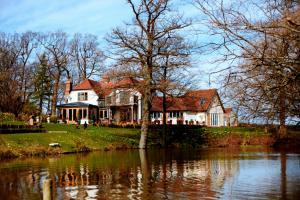 Located 37 km from Brighton & Hove, Warren Cottage offers pet-friendly accommodation in Mayfield. It provides free private parking. Free WiFi is featu.. Situated in Wadhurst, this holiday home is set 42 km from Brighton & Hove. The property boasts views of the city and is 31 km from Eastbourne. An ove.. 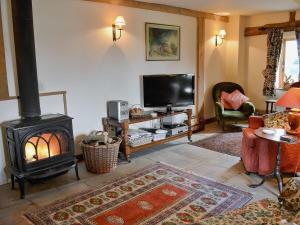 Located in Burwash, Ox Lodge Barn is a cottage boasting a barbecue. It provides free private parking. There is a dining area and a kitchen equipped w..
Set in Heathfield, this holiday home is situated 33 km from Brighton & Hove. The unit is 18 km from Eastbourne. 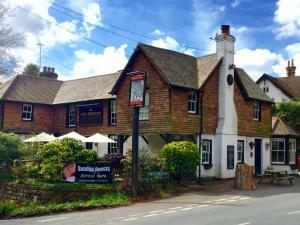 Free WiFi is offered throughout the pr..
Best beech inn is located in Wadhurst, 41 km from Brighton & Hove. Guests can enjoy the on-site bar. Free private parking is available on site. 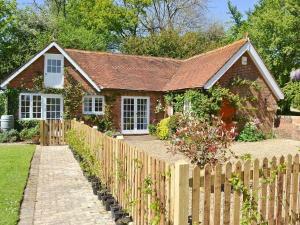 Each ..
Cider Cottage is a holiday home situated in Etchingham, 46 km from Brighton & Hove. The property features views of the garden and is 30 km from Eastbo.. Situated in Battle, this holiday home is 42 km from Brighton & Hove. The property is 22 km from Eastbourne and free private parking is available. Free.. 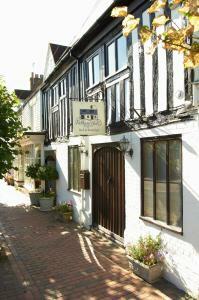 Located 39 km from Brighton & Hove, The Byre offers accommodation in Herstmonceux. The unit is 19 km from Eastbourne. The kitchen has an oven. There .. 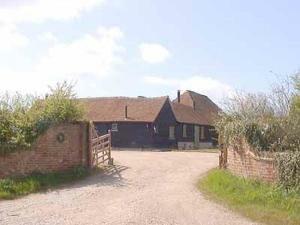 The Old Stable is a holiday home is situated in Herstmonceux and is 39 km from Brighton & Hove. The unit is 19 km from Eastbourne. The unit is fitted.. 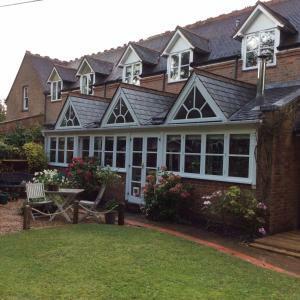 Located 39 km from Brighton & Hove, The Coach House offers pet-friendly accommodation in Herstmonceux. The unit is 19 km from Eastbourne. An oven, a .. Featuring free WiFi throughout the property, Swallows Barn is a holiday home, located in Herstmonceux. It provides free private parking. The kitchen ..
A 25-minute drive from Royal Tumbridge Wells in the High Weald Area of Outstanding Natural Beauty, the privately-run Shoyswell Cottage is a boutique-s..